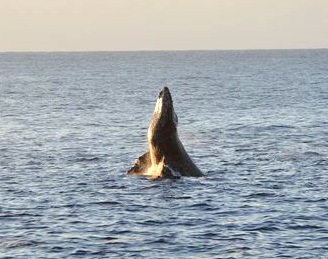 Note: This article covers both whale watching from a boat or cruise ship as well as from shore. See the two separate sections below for specific product recommendations. Little is more breathtaking than seeing whales playing in the waves in the pristine waters of the ocean. For lovers of these fascinating marine mammals, watching them in their natural habitat is a surreal feeling. Typically, whales will be some distance away. If you are concerned that you might not see those Humpbacks, Orcas, and other whales up close, no need to worry. There are binoculars that will help you make whale watching and any kind of ocean viewing a wonderful experience. First, I’d like to provide you with a short buying guide so you know what to look for in binoculars for this wonderful activity. When you read the description for a pair of binoculars, you will usually find two number separated by an ‘x’. The first of these numbers is the magnification, i.e. how much bigger the image will be compared to real life. Magnification is the reason you use binoculars in the first place, but beware that too much of it will spell trouble. First, it will make it hard to hold the binoculars steady enough to get a clear view. Secondly, the more the image is magnified, the less of an area you actually see, decreasing your “field of view”. When you’re on a boat, I suggest not using anything above 7x or 8x. These are the recommended numbers for use on open water, due to the motion of the vessel on the waves. The smaller the boat, the more problematic it will be to maintain a good view. On a big ship, e.g. on a cruise to Alaska, it’s better, but still not quite as solid as solid ground. If you’re on land, on the other hand, things are different. Whales rarely come very close to the shore because the waters are too shallow. They will be quite some distance away from the coastline – so much so that you might even have a hard time spotting them with the naked eye. When viewing from shore, I highly recommend going for high powered binoculars, at least 12x but preferably more. You can then stabilize them either by propping up your elbows on something solid or actually supporting the binoculars with a tripod, monopod, or whatever you can find. As I mentioned above, binoculars are described by two number. The number after the letter ‘x’ is the size of the lens in millimeters (this is the lens at the front openings of the binoculars). A large lens gathers more light and provides clearer and brighter images than a small one due to a bigger exit pupil (basically how much light reaches your eye). On the other hand, the bigger the lens, the heavier and bigger the entire gadget, which can become a problem when carrying it around and especially when holding it in front of your eyes for a long time. This is not an issue for land-based viewing using powerful binoculars – get something with nice big lens and enjoy the views even at dusk or low light. However, there is a significant trade-off when going on a whale watching tour in a small craft. ED Glass: if a product says it has ED glass, it’s a good thing. This means that the outline of objects will be sharp and not like a little rainbow due to something called “chromatic aberration”. Lens coating: again, a good thing, and the more the better. Ideally, look for a product that claims to have fully multi-coated lenses, as this means bright vivid images for you as the user. Roof prism vs Porro prism: This requires a bit more explanation. Binoculars use prisms to turn the image upright (otherwise it would be upside down) and there are two types of prisms. 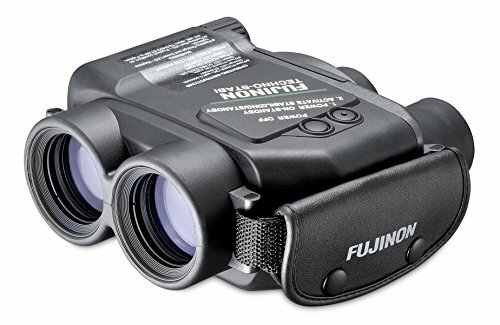 Roof prisms make for compact binoculars that are easy to carry and comfortable to hold, but may result in a somewhat higher price tag for the product. Porro prism binoculars are bulkier and heavier – it’s difficult to hold a Porro prism binocular steadily with one hand, for instance. They do however have better depth of field (the 3D sensation, so to say) and may cost less. Eye relief: this is the allowable distance between the eyepiece and your eyes and is of particular concern for eyeglass wearers – if you are one, look for at least 15 mm eye relief, or you may have a hard time using the binoculars while wearing glasses. Now that we have covered the basics and have some understanding of what it is we should be looking for let’s see some specific products that will make great whale watching binoculars. First off, this amazing product from Athlon Optics. 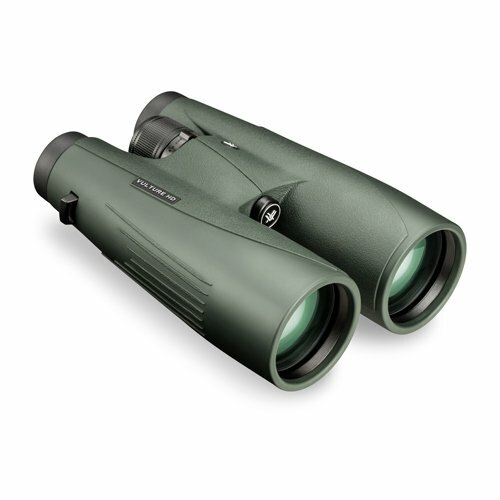 This is an 8×42 binocular and this particular model is one of the best in its class. The optics on the Midas are top-notch – you can expect stunningly clear views and they will perform well in limited light conditions too. A great benefit of the Midas is its exceptionally wide field of view of 426 feet at 1,000 yards. This makes spotting the whales in the ocean and keeping them all in view easy and makes the whole experience much more immersive than with the “tunnel vision” on lower quality items. 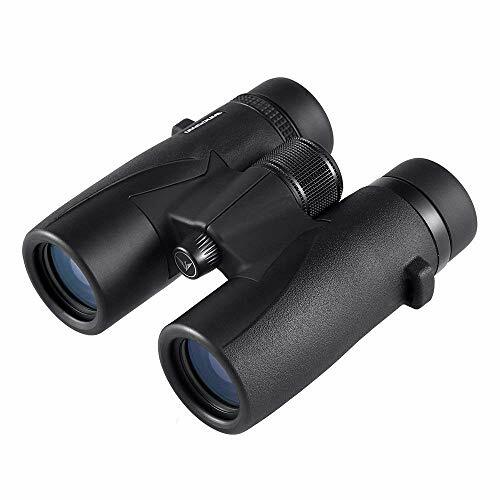 These binoculars are waterproof and fog proof, which is something you should definitely look for given their purpose – sea air can fog up and corrode optical instruments. 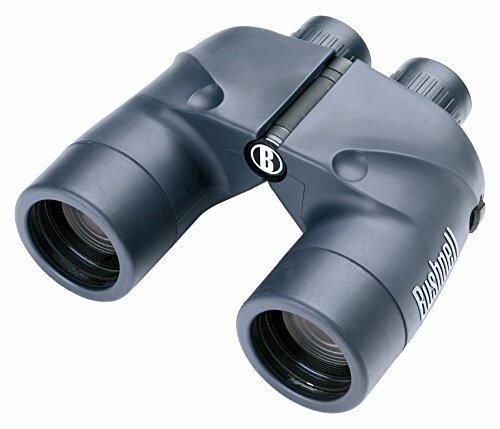 These are roof prims binoculars and as such, they are quite light at 1.56 lbs (707 grams) and very comfortable to hold and use. The great thing is that this is not a binocular for one whale spotting trip – it’s for life. The build is of very high quality and you can expect them to last a long time and through many adventures. The 8×42 size means they are suitable for pretty much anything. Note that the Midas is also one of the highest rated binoculars on Amazon – it’s worthwhile to read some reviews there. Next up, this much more “classical” marine binocular from Bushnell. You can see from its stepped shape that it’s a Porro prism type, so it’s definitely bulkier and heavier than the Midas above. But it’s also considerably cheaper. And, after all, it’s a marine bino. Even the 7×50 size is pretty much standard for sea-going purposes. The large lens yields a lot of light and the optics are of high quality, so you definitely won’t miss any views. The field of view is narrower than on the Midas though, despite the lower magnification. This will be quite noticeable if you compare the two products side-by-side, but it certainly won’t get in the way of you enjoying your trip. You can still easily track multiple whales or dolphins at the same time, and you will also get bright clear images. You may, after all, want something smaller and lighter than the two models above, so I’m throwing in these compact binos from Wingspan. They are not as “compact” as some other products, but they’ll fit is a sizeable pocket. They are also very lightweight, just 1 lbs 3 oz, so you can easily hold them up with one hand only. The optics are great: ED glass, fully multi-coated (FMC) lenses, phase correction – all the buzzwords. Do remember though that the objective lenses are smaller here, so expect a minute loss in brightness compared to big ones and they won’t be quite as good at dusk or in dim light conditions. But in the end, they have been designed for birders and birders are demanding people: they want to see tiny birds from far away with all their plumage and colors and all. These binos will work for whales. Now, here is a different option – if you have the budget. 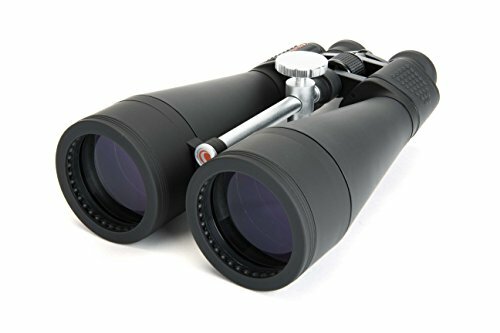 These binoculars offer a whole 14x magnification, but that wouldn’t be usable on the seas, would it? Not the case with this product – these are image stabilization binoculars. The idea is that when your hand or whatever else causes the view to shake, special electronics on the inside of this device adjust for these changes by moving a lens and correcting the shake. This way, you can enjoy the huge magnification and close up views of the majestic fauna of the ocean while holding the binoculars in your hands as you usually would. This kind of experience is quite a luxury and may well be worth going for, again, if you have the budget. As discussed earlier, when viewing whales from the shore, you need lots of magnification and this is what these monster binoculars deliver. A whole 20x of magnification will certainly bring you closer to the mighty cetaceans. You will, however, almost certainly need a tripod for this bino. It also makes sense to have a smaller binocular, e.g. from the ones above, to help scan the sea for whale activity before using the SkyMaster. The latter’s field of view is very limited due to the huge magnification and object acquisition may be difficult. 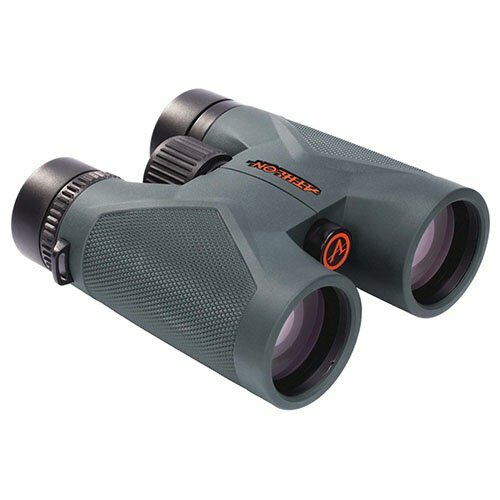 The optics on this product are fairly good and you will probably get a better view than with many other models that purport even higher magnifications. However, this is not a high-end, nor even a real mid-range binocular, so the image quality is not really the kind that you might expect from say, a good Vortex binocular (see below). The SkyMaster can also be used for looking at the night sky, which is what it was designed for, as well as watching distant ships etc. The Vulture from Vortex won’t fail you in terms of picture quality – optics that Vortex produces are absolutely top-notch and can match products in the four digit range. The 15x magnification will usually be perfectly enough for watching large sea fauna offshore, especially at the definition and clarity that this device offers. You will still need a tripod or other support, though you can try simply supporting your elbows or hands on something hard. This will not however offer the convenience of using a tripod. They are tough too, even the lenses are protected with a special hard layer of material to prevent scratches. I suggest you have a look at the reviews on Amazon for this product – people are quite amazed by the viewing experience it offers. Just as for the boating section above, I’d like to offer an image stabilized (IS) option here, only this time with even more oomph (ahem, magnification), given the extra distance you are likely to be from the intended target. 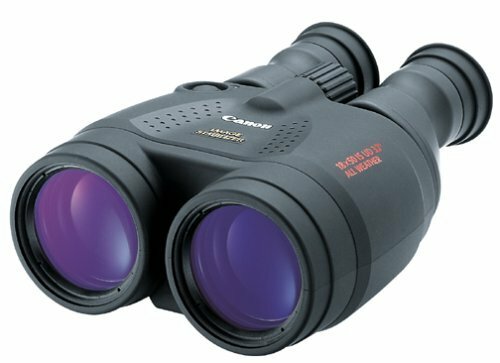 Canon is a major producer of IS binos – they have carried over their expertise in making stabilized camera lenses to the binocular field. Viewing something with 18x magnification power and yet being able to just hold the binocular in your hands is quite something, but obviously it comes at a price. If you can allow yourself this luxury, don’t miss out on it. You’ll be able to watch not only whales, but even see the rings of Saturn through these. Lastly, if you’re not sure that the binoculars above will provide enough power to see whales from your intended location (depends on where you are and what the coastline is like), my suggestion is to look into spotting scopes. They come at a range of prices from less than $100 into the thousands. A nice spotting scope, such as the Gosky above will have zoom all the way to 60x and can be used to take photos using your smartphone as well. The downside is that you don’t really have anywhere near the comfort of use as with handheld binoculars and looking through one eye is also not quite the same as looking with both. But if distance is an issue, spotting scopes can solve it better than binoculars. Don’t miss the chance to see whales thriving in their natural habitat by using cheap, low-quality binoculars for whale watching. If you’re still not sure about what to buy, read our buyer’s guide, choose something that has been designed for the purpose and will give you a good clear and stable image, and make your next whale watching adventure an unforgettable one.